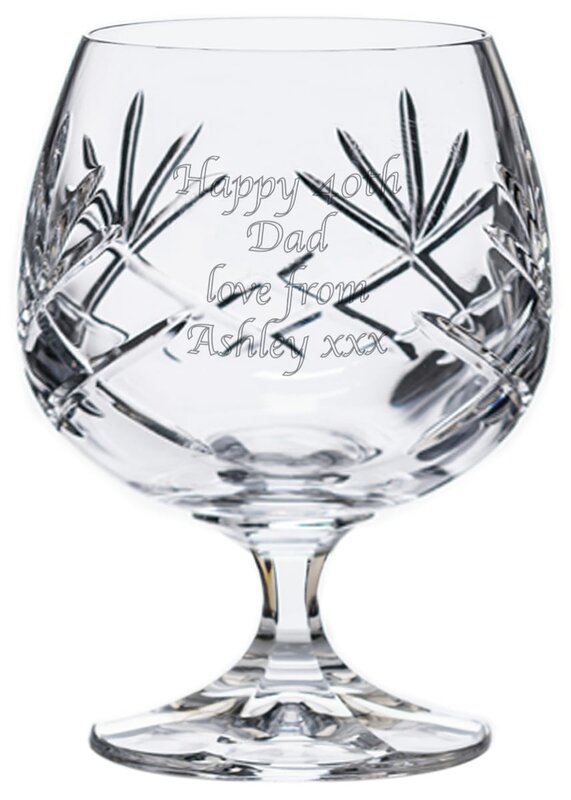 This cut crystal glass is fitting for any celebration, and with your message engraved on the front it makes a personal gift that can be used and cherished long after the event is over. Whether given as a Father's Day gift, Secret Santa, or Birthday present, the Brandy lover you know will definitely appreciate this thoughtful addition to their glass cabinet! These Brandy glasses are made from beautiful cut crystal and make a perfect present to mark an important occasion. These wine glasses are made from beautiful cut crystal and make a perfect present to mark an important occasion.